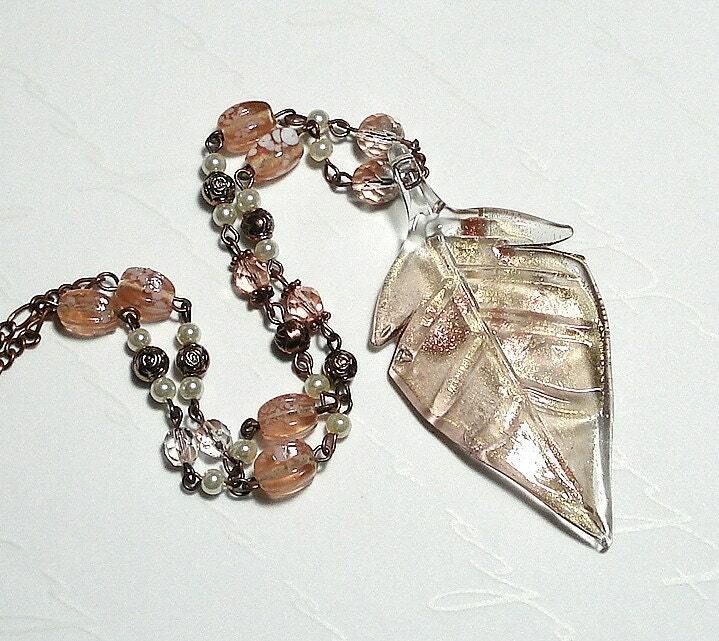 A beautiful carved clear glass leaf with shimmering copper and gold accents is the focal point in this handmade pendant necklace. The pendant is accented with faceted light peach Czech glass rounds, ivory glass pearls, copper flower accent beads, peaches and cream glass beads and delicate antiqued copper chain. Necklace is 25" long and closes in back with an antiqued copper barrel clasp.